Capsize test for Duo dinghy in controlled conditions. Tests done for both rowing and sailing versions. Sailing the Argie 15 "Kuraku" in stronger winds. Once or twice, it got my heart pounding but the Argie remained steady and dry. 2011 Texas 200 Welsford Sherpa screaming along in high winds. 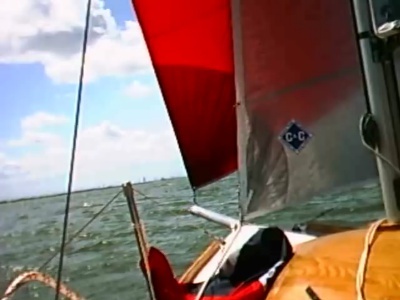 A rare video of Sport Boat 18 "Lady C" sailing under assymetrical spi. 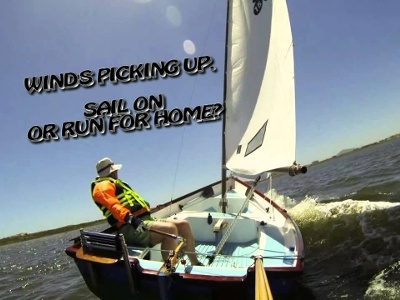 A short video of first sailing trip on Gypsy catamaran "Water Music". Owner's granddaughter took the helm for the first time in her life, and proved to be a very good sailor right from the start. 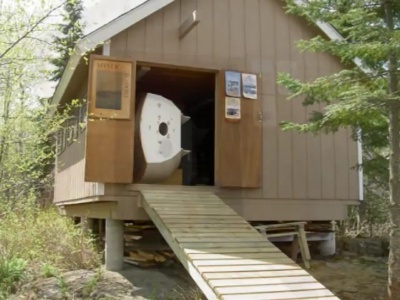 Building Tread Lightly with a modified and shortened cabin for day sailing. 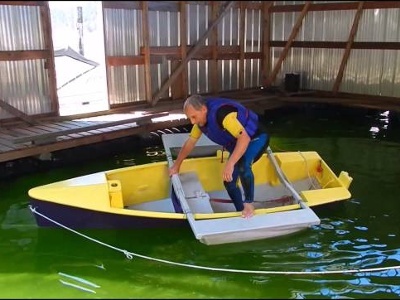 The boat is built with a built in electric trolling motor and oar ports to accommodate rowing the boat easily. 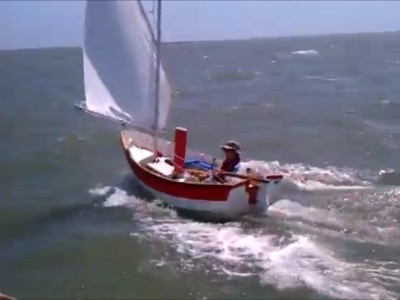 Flipping the Fafnir, a DIY plywood sailboat by John Welsford. 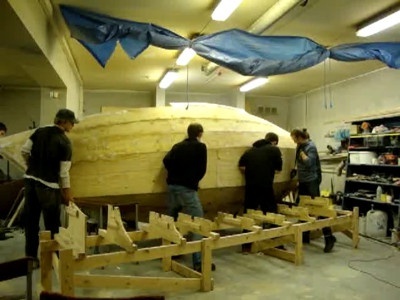 The hull is finished, they are now building the keel.